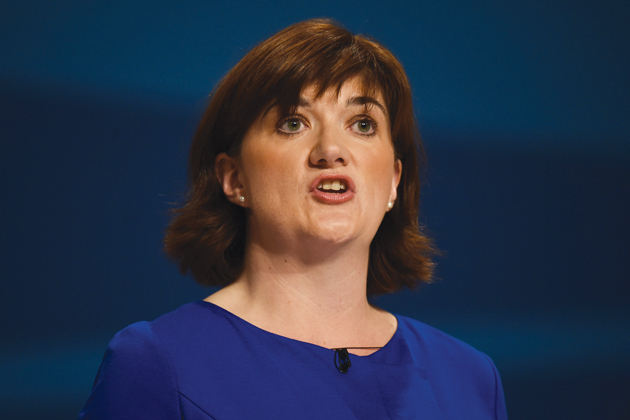 A new white paper unveiled this morning by Education Secretary Nicky Morgan has spelled out her vision for the next five years. The report set wide ranging ambitions for schools and 16 to 19 providers, including closer tracking of English and maths progress, an expansion of University Technical Colleges (UTCs), more curriculum stability, better careers advice and improved provision for students with special needs. It said: “For 16-19 providers, we will introduce new headline performance measures from this year. “These will look at the progress (including specifically in English and maths for students who have not already achieved a good pass at GCSE), attainment and retention of students. “We are also working with HMRC and the Department for Work and Pensions to improve the data we publish on students’ destinations after leaving education. There was also clear indication that the government plans to push ahead with the much maligned UTC programme. The paper, called Education, Excellence, Everywhere, said: “We will build on the success of the free school programme to open 500 new schools by 2020. Assurances were also given about future curriculum stability. It said: “In the last parliament, we introduced a new, more ambitious national curriculum and reformed qualifications and assessment standards; this parliament, our reform programme is well underway. It also mentioned supporting the Careers and Enterprise Company to improve careers advice, informing students about “the opportunities offered by the world of work”. “It has already launched a nationwide enterprise adviser network, a £5m careers and enterprise fund and published a toolkit based on evidence of what works,” the report added. It also committed to investing in special education needs disabilities (SEND) provision.